Summer camp is a time-honored tradition! 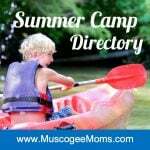 We’ve compiled a list of over 95 local and regional summer camps and recreational programs. This list is updated as we receive new information. Some of the venues listed have not yet sent us their 2019 summer camp information, so the link will take you to the camp info from last year. If you have a camp to add or update, please click here. An overnight, week-long summer camp for 4th-6th graders at Camp Fortson in Hamilton Georgia. Camp Fortson is the only 4-H camp in Georgia with an actual farm on site so youth will have a hands-on experience with farm animals including chickens, turkeys, sheep, goats, donkeys, rabbits and other animals. Some camp experiences are really unique because, depending on timing, youth get to watch chicks hatch or see baby rabbits and other animals. The campsite also has a herpetology lab where youth will learn about snakes, lizards and they even have baby alligators. Youth will participate in nature hikes, a climbing wall, a zip line, other ropes course activities and field trips off site. 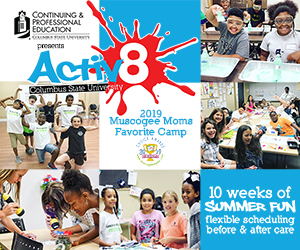 Ready To Activ8 Your Summer? 10 weeks, 3 age groups and over 200 classes covering Music to Science to Sports to Media and Beyond! Parents, help your budding Genius Kids discover the exciting Summer Camp opportunities that Continuing & Professional Education has for youth in Columbus, GA to improve their knowledge and skills. Great Summer KIDS CAMPS and teen programming keep area youth engaged in education while having fun. You will find quality programs that promote leadership and youth development through enrichment activities, unique experiences, and opportunities to develop relationships with adults and peers. We help children in a friendly and convenient environment to find academic success regardless of age. One-on-one comprehensive tutoring and instruction by certified teachers ensure student success. 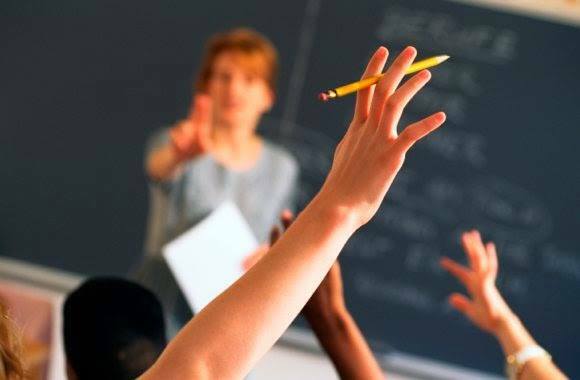 Our tutors are certified teachers, with a combined total of more than 50 years of teaching experience, are highly qualified to provide explicit and engaging tutoring lessons for students in grades K-12 at affordable prices. Prep services also are available to prepare students and adults with taking higher educational assessments such as the ACT, SAT, and ASVAB. Call today to find out about our JUMPStart Summer Program to ensure your student is ready for their next grade level, our Summer camp, and our variety of other tutoring services. Choose from over 100 summer programs designed to educate and inspire youth in a variety of academic, athletic, and extracurricular endeavors. 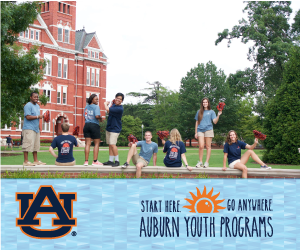 Participants have the opportunity to further their education and skills while making new friends and experiencing life at Auburn University! 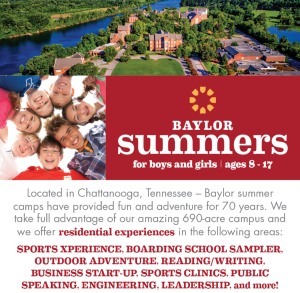 Amazing residential experiences await girls and boys from all over the country at Baylor Summers! 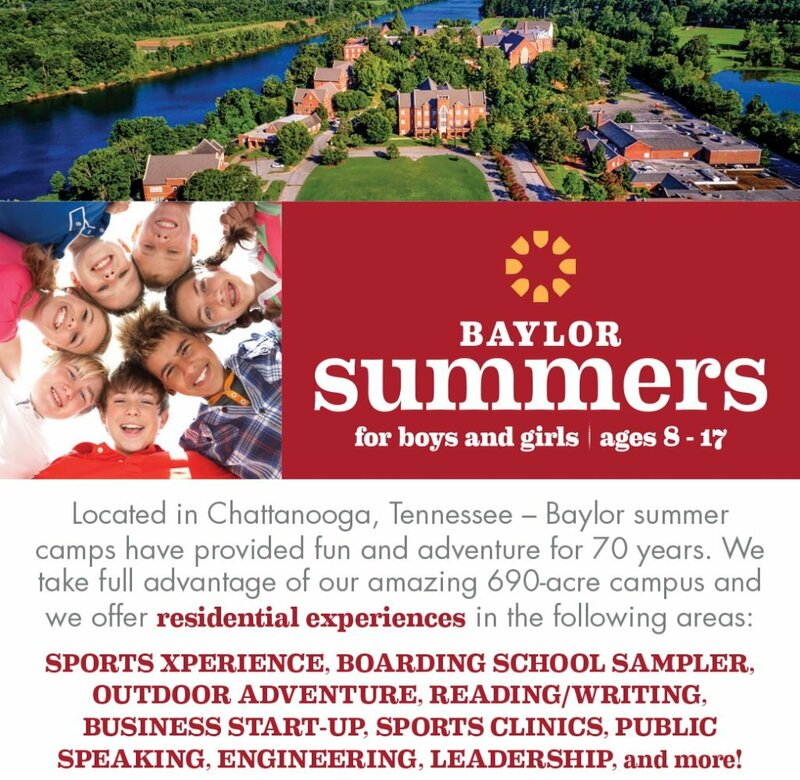 Located on 700 award-winning acres in Chattanooga, TN, our camps occur in some of the finest residential girls and boys dorms in the nation. We are next to the Tennessee River, Lake Baylor and the mountains just outside the city. Our many camps specialize in the areas of Fun/Sports(general & specific), Outdoors, Boarding School Sampler, Business, Academics. Our Center is less than 2 years old, conveniently located outside the gate of Ft. Benning, GA. We are less than 1 mile from the National Infantry Museum. We strive to provide the best care possible to our children while ensuring that all children are safe. 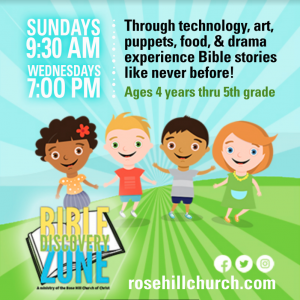 Infants, Toddlers, Preschool, and After-School Programs available. What is Big Brothers Big Sisters? Big Brothers Big Sisters of America is the oldest mentoring program around with over 110 years of service with approximately 300 agencies nationally and internationally. What service does Big Brothers Big Sisters of Chattahoochee Valley provide? We provide one-to-one mentoring for children in the community. We match children with a volunteer also known as a Big Brother or a Big Sister based on the gender of the child. Box City provides a hands-on experimental approach to community planning and design principles. Box City dates are June 10-13, 2019 and June 24-27, 2019! Historic Columbus offers two separate sessions of Box City. This is a fun camp where you work with partners on 4 or 5 buildings. This is designed for our older campers. Box City II will be the next step in designing and planning. Children will work on 1 building in detail without partners for the week. This is for children who are least 10 years old. Box City II, but not necessary. Box City I and Box City II will be offered during both sessions. If you have students going into the 9th grade or higher, we have volunteer opportunities for them. Please call Callie Hecht 706-322-0756 or [email protected]. 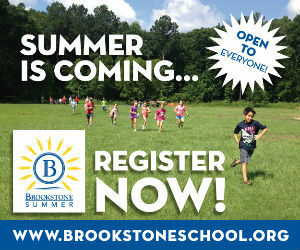 During the summer months, the Brookstone campus becomes Brookstone Summer with a program of fun that is unparalleled in the region. Our campus is truly a special place, and our camp offerings take full advantage of all the unique features available on the Brookstone campus. Cougar Kids (ages 3-5) will take place in our newly renovated Brookstone Extended building on our River Road Campus, complete with amphitheater, playground, and numerous classrooms. 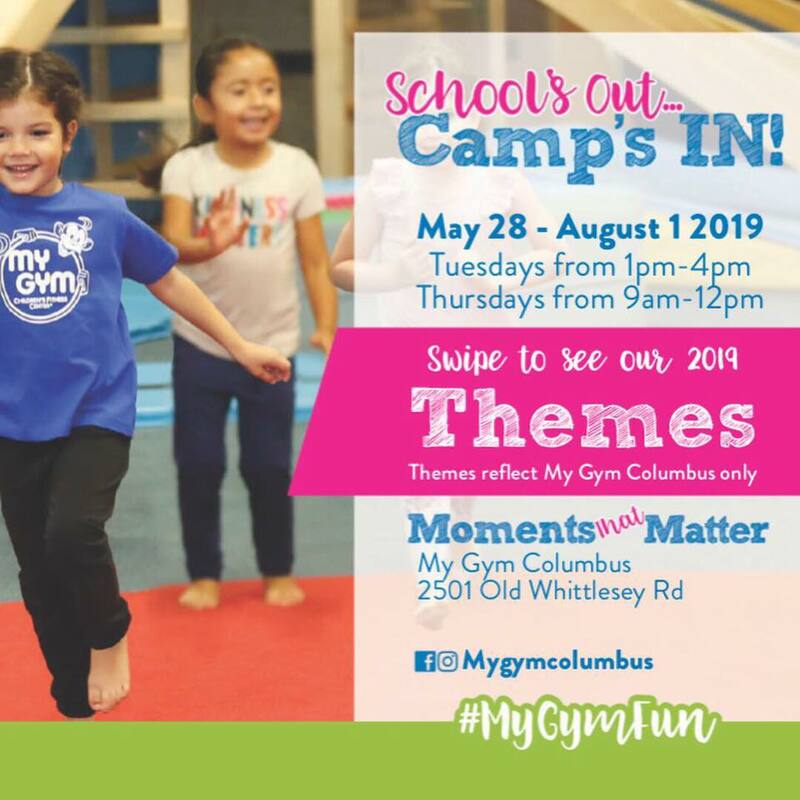 Camp B (ages 6 and up) is back with all your favorites, such as Fishing, Huck Finn, Extreme Sports, and Cupcake Wars, but we’ve added some super exciting camps that will no doubt be a hit for years to come! New camps include Ice Skating, Scrapbooking, Nerf Battle, Science Academy, Sign Language, A/V Club, and much more! You will definitely be excited to see the listings available on our website. Our classes are designed to integrate fun with education. 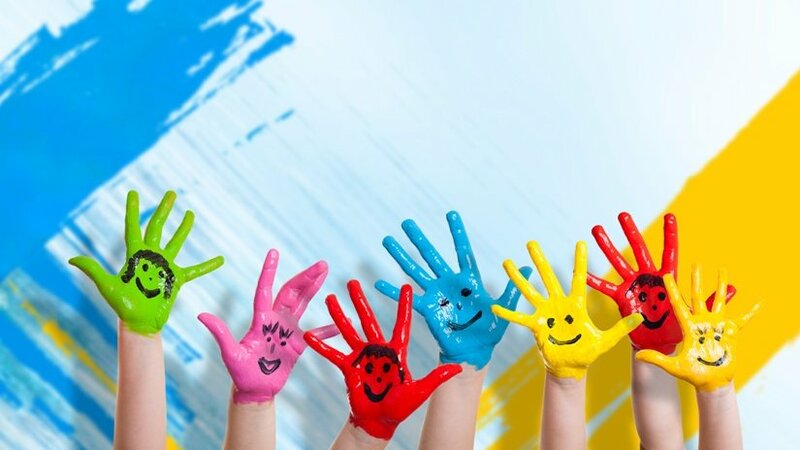 It is our goal to enhance your child with a knowledge base of drawing and painting skills necessary to be able to create and execute their own artwork without assistance in the future. Academic learning through physical activity and sports is our mission. We are an “In-Home” tutoring company and our instructors focus on your child’s academic skills to get them on grade level, keep them on grade level, and get them ready for the next grade, using physical activity and sports. We show children the connection between academic content, sports and physical activity, helping them learn academic content and apply their knowledge to school work. Our STEM in MotionSM curriculum was developed specifically for BTG Learning and is aligned with state educational standards for math, science, reading and writing. to learn pre-math skills and K- 5 learners to build math skills. connection to the world of science and what happens in their everyday lives. understand as well as recognize the written word. concepts into all lessons and activities which will help your child be more successful in school. Summer STEM Camp coming soon! 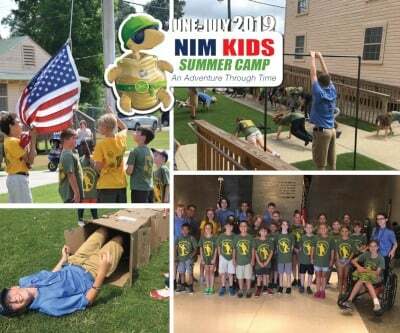 Get Ready to Register for Summer Camps 2019! 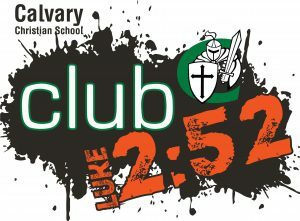 We are pleased to announce that CCS will be offering our CLUB 2:52 Summer Program once again this year! Enrollment begins on March 1st for current CCS students. Guaranteed placement is assured for your child until March 31st. Open enrollment will begin on April 1st. Tuition remains the same as last year! No REGISTRATION FEE through March 31st for current CCS students! Mad Scientist Week, Summer in Space Week, Christmas in July, DRAMA, Kids JAM, a week of Service Projects, and the final week is going to be a total BASH! 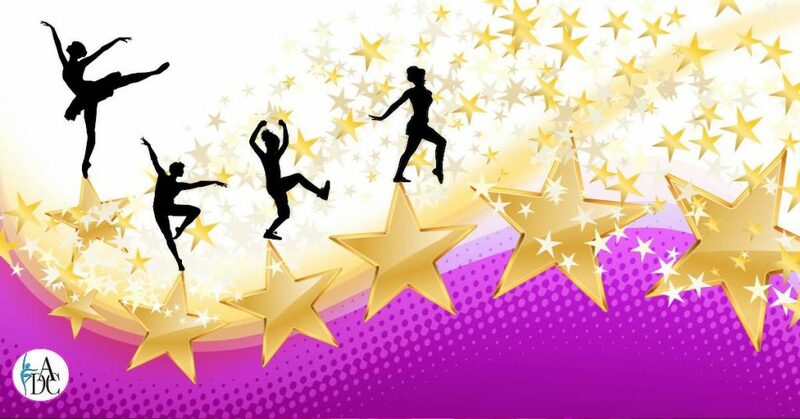 Talent Shows, contests, special days each day of the week…..a totally crazy week of fun to get ready for back to school. Registration and link coming soon! Camp Dixie is a traditional summer camp for boys and girls located in the Blue Ridge Mountains of Northeast Georgia. The camp has a rich history and limited enrollment are what sets us apart from other camps. Limiting our enrollment to around 70 campers, ages 6 to 15, allows us to emphasize the “family” atmosphere that we feel is so important. 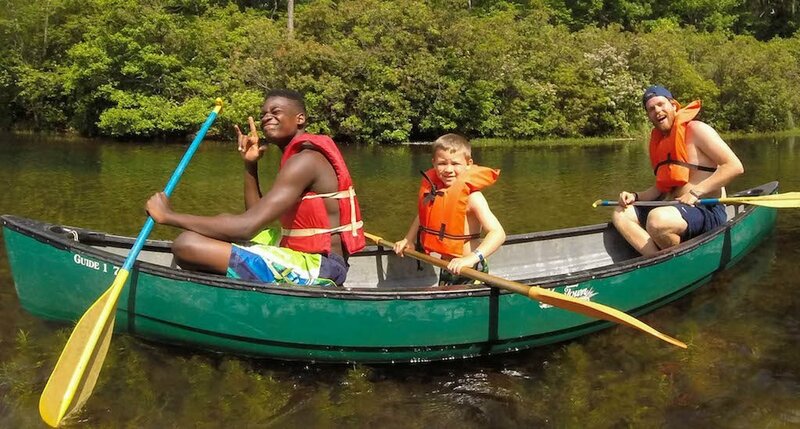 While providing a safe and supportive environment, Camp Dixie creates a unique setting where campers can make new friends and learn new skills, while learning more about themselves. 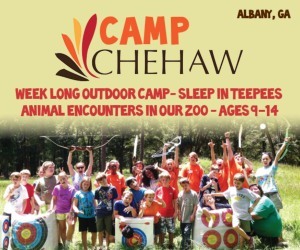 It offers a complete range of traditional camp activities, including swimming, diving, canoeing, individual and team sports, crafts, dramatics, camp newspaper, backpacking, nature, outdoor living skills, and leadership programs. 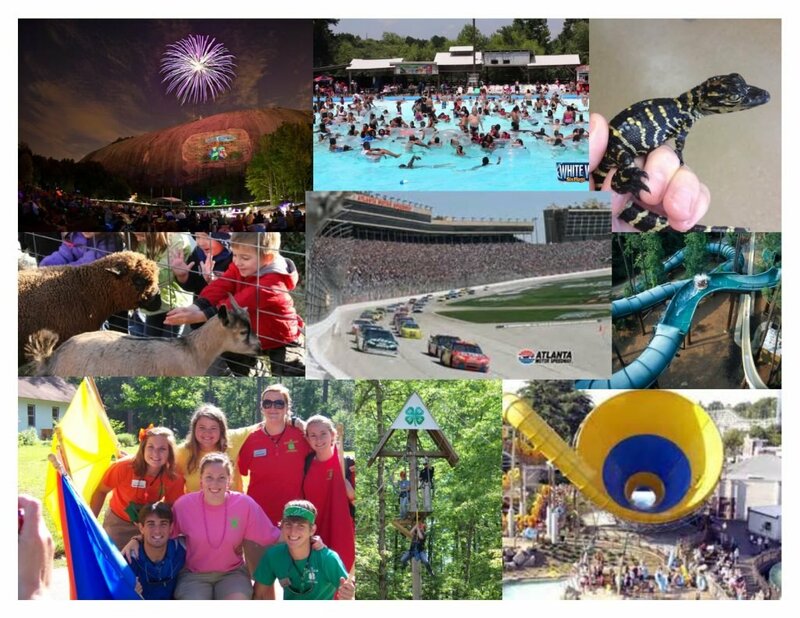 Special events and weekend programs include a variety of social and team building activities — camp favorites are Counselor Hunt, Capture the Camp Flat, and Dinner Theater. Camp Dream is a recreational, traditional summer camp experience for children and young adults with moderate to severe developmental disabilities. Camp Dream is 100% volunteer, offering a one-to-one camper-counselor ratio. Since 1996, Camp Dream has provided a traditional summer camp experience for moderately to severely disabled children and young adults. No child has ever been turned away due to the severity of their condition or financial capabilities. Camp Dream summer camp program is temporarily being held at the Camp Grace facility in Roberta, GA, until our new 337-acre property is developed in Cuthbert, GA. The temporary Camp Grace facility offers a rustic, recreational environment away from worries and concerns of everyday treatment. 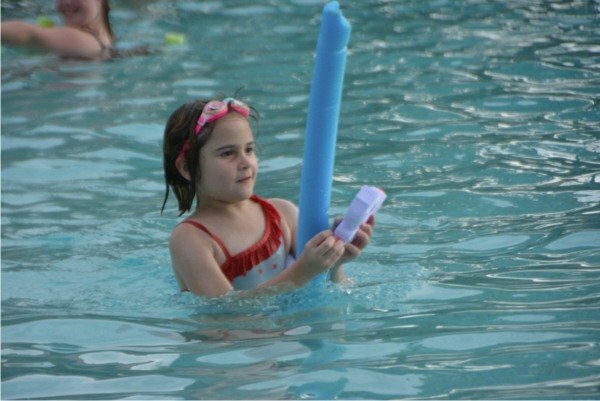 Our facilities and activities are designed for all campers to participate at all ability levels. To submit hard copy applications or camping session inquiries, contact our Camp Director at 678-367-0040 or [email protected]. 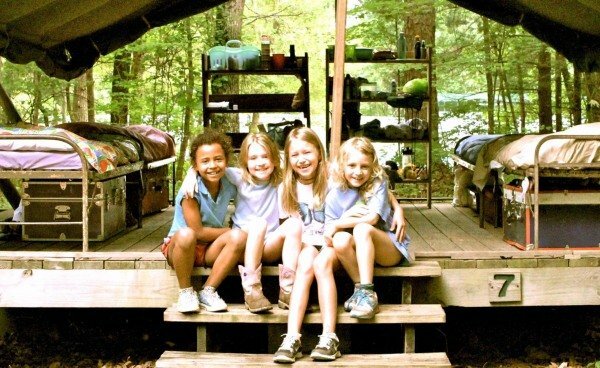 Nestled in the beautiful foothills of the Appalachian Mountains near Hamilton, Georgia, Camp JOY has offered a one-week camping experience for boys & girls between the ages of 7-11 since 1974. Camp JOY operates 6 weeks during the summer months and can accommodate up to 75 children per week. There is no fee for children to attend camp JOY; instead, their camping experience is provided by generous donors at a rate of $50 per child per week. For most of the kids, the week at Camp JOY is definitely the highlight of their summer, as they come off the city streets and into nature at its finest. They enjoy camping, hiking, fishing, swimming, crafts, recreational time, singing, Bible studies, and guest speakers. Three nutritious meals are served to the children each day, along with snacks. A camp administrator oversees the program and is assisted by counselors and staff members from the Mission. Camp JOY is equipped with recently renovated cabins, chapel, an arts-and-crafts room, campfire area, basketball court, in-ground swimming pool, and game room. Three hiking trails surround our 4-acre lake. Camp Juliette Low is a private, non-profit summer camp for girls ages 7 to 17, accredited by the American Camp AssociationTM. CJL provides campers with fun and exciting ways to become more confident and competent, individually and in groups, through one-week and two-week outdoor residential programs. Platform tents, outdoor adventure, traditional camping, fun and friendship since 1922. Juliette Gordon Low, the founder of this camp and of the Girl Scouts, picked the location of CJL herself. The camp is located in the northwest corner of Georgia in one of the most beautiful spots in the southeastern United States. Sessions 1, 2, 3, 4, and 5 are for girls who have completed the 1st grade through current 9th/rising 10th graders (ages 7-15). Gypsy Week 4 and Gypsy Week 5 are for girls who have completed the 1st grade through current 4th graders/rising 5th graders (ages 7-10). Counselor-in-training (CIT) sessions are for girls who have completed the 10th or 11th grade (ages 16-17). Click here for Summer Dates & Rates. 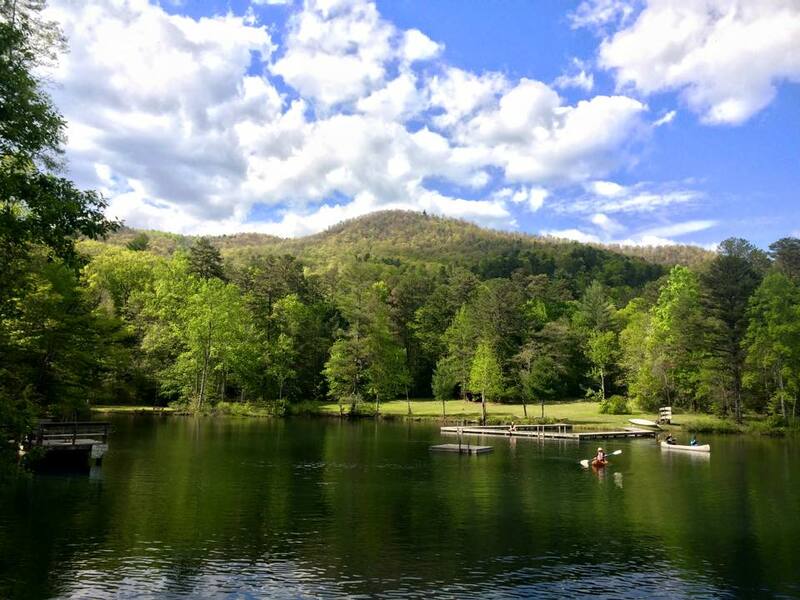 Camp Woodmont on Lookout Mountain in northwest Georgia is a traditional, overnight camp for boys & girls ages 6 – 14. 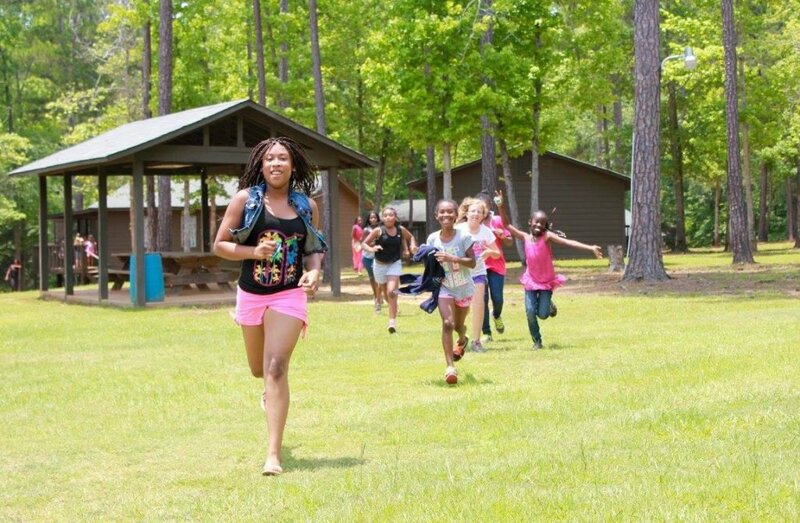 Located just two hours from Atlanta, Camp Woodmont features horseback riding, high ropes, climbing, sports, dance, crafts, canoeing, archery & more! Founded on strong Christian morals and principles in 1981, Camp Woodmont is the perfect place to build lifelong friendships and everlasting memories. Our deep-seated traditions, close family atmosphere, and caring counselors make campers feel secure, welcome & reassured! Counselors are college-age and live in the cabins with the campers. Before ‘lights out,’ every cabin has devotional time, along with milk and cookies, delivered to each child’s bunk by Senior Staff. Our camp program is very well-suited to first-time campers: we have all of the traditional camp activities starting at an introductory level and the camp layout is very conveniently spaced out. We have a lot of returning campers as well! One-week and 2-week sessions are available. The Campus Academy is pleased to offer a Summer Academics Program to any High School students who are seeking credit recovery during the summer months. A $250 deposit is required at registration. This deposit is applied toward the total tuition cost. Balance is due before transcripts will be released. The mission of Chalk Lines is to provide athletes of the Greater Chattahoochee Valley Area with the knowledge, skills & fundamentals in the sports of softball. We bring together the area’s most talented instructors in one location, thus making it easier for parents and athletes to find training and provide instructors with a professional environment to teach. If you play fast pitch, slow pitch, intramural or men’s leagues, church or industrial ball, register for one of our summer clinics and camps. Our goal is to help bring softball to the center stage where it belongs, develop those athletes who love the game, and to help fulfill their dreams of playing at the next level.